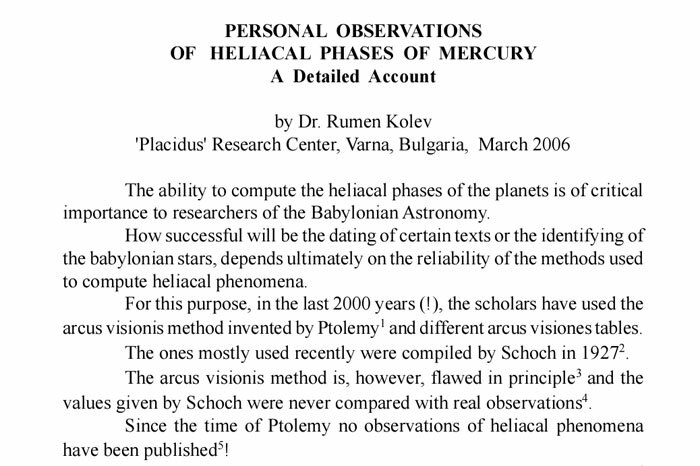 Content: Detailed description of 8 observations of heliacal phases of Mercury in Seattle, USA and Varna, Bulgaria. Additional 15 observations of heliacal rises of planets and stars are included. Discussed is the reliability of the tables of Carl Schoch.